Processor: 1.3 GHz Quad Core. Rear Camera: 3.0 Mega Pixels. Front Camera: 1.3 Mega Pixels. Other Features: Video Calling and 3G enabled. Front Camera: 3.0 Mega Pixels. Other Features: 3G Enabled and Video Calling Service. Front Camera: 5.0 Mega Pixels. The warranty of all three hand-sets is for one year. Customers can claim of the warranty from nearest franchise and office of Telenor. Customers also get free RS 100 balance for a month till three months after date of buying. Buyers also get 500 MBs internet bundle for a month till three months. Telenor live pocket TV service is also available of 500 MBs till 3 months. All the incentives will be expired after three months. 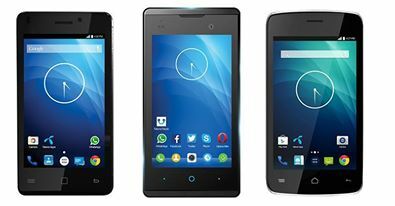 Customers can buy these hand-sets from nearest franchise of Telenor. There are no extra and hidden charges. Customers also get warranty card and charging device with hand-set.